Plants engage in many types of mutualisms, including resource mutualisms where the plant exchanges carbon for nitrogen (in the case of legume-rhizobia mutualisms) or phosphorus (in plant-mycorrhizal mutualisms). However, these “mutualisms” can lose their value to plants, or even degrade to parasitism, where resources are abundant. We are exploring this mutualism-parasitism continuum, and what it means for plants, rhizobia, mycorrhizal fungi, and communities, using mathematical models, greenhouse experiments, and field studies. This basic ecological phenomenon (that the outcome of mutualisms depends on the context in which it occurs) could shape the restoration of post-agricultural lands. High soil phosphorus is a legacy of past agriculture, both in Michigan and around the world. 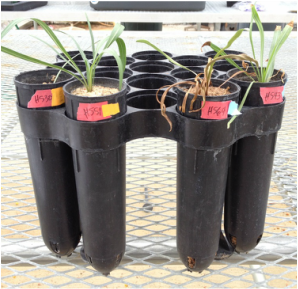 Our work has shown that high soil phosphorus can push interactions between plants and arbuscular mycorrhizal fungi (AMF) towards parasitism—but that not all plant species are vulnerable. Our current research is testing the hypothesis that phosphorus legacies could prevent some species from establishing in restored prairies because of parasitism by mycorrhizal fungi. Native grasslands are imperiled ecosystems. The vast majority (>99%) of native prairie has been lost. These ecosystems once hosted an enormous diversity of plants, animals, and microbes. The desire to conserve these species and ecosystems has inspired decades of attempts to restore grasslands, often by planting them in former agricultural land and reintroducing fire. However, these post-agricultural restored grasslands often (but not always) differ from untilled remnants in many ways: they lack characteristic species, they support less biodiversity, they differ in the relative abundances and spatial distributions of species, and they suffer from invasive and non-native species. In short, restoration goals (when they are clearly articulated) are not always met, and the outcomes of restoration are not always predictable. Confronting this contingency remains a major challenge for restoration practitioners and restoration ecologists. With the goal of accurately predicting and shaping the outcomes of prairie restorations, we address issues such as the roles of soil microbial mutualists, seedbanks, historical legacies, invasive species, and management strategies. For example, we are collaborating with Dr. 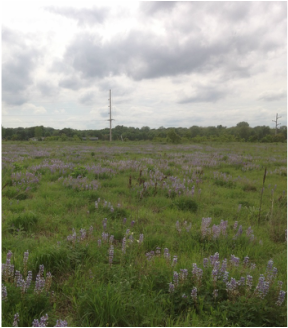 Skip Price and Dr. Jonathan Bauer to understand whether differences in rhizobia communities between remnant and restored prairies can help explain why legumes fail to establish in restorations. Beyond this, we seek to enable land managers to assess when, and under what circumstances, they need to worry about particular forces that could determine the end product of their restoration efforts. Beta diversity, or spatial variation in the species that make up communities, is a key component of landscape diversity—one that we understand much more poorly than other measures of biodiversity. Beta diversity can develop when species map onto underlying environmental heterogeneity, so that we see different local communities in different microhabitats. However, beta diversity can also be caused by variation in dispersal, disturbances, drought, or larger landscape considerations such as the number of species in the region. Characterizing when these different drivers of beta diversity are more or less important remains a challenge. This variation in beta diversity and its drivers could affect the way ecosystems function. Communities with higher beta diversity might perform higher levels of ecosystem functions (such as decomposition, primary production, or N-fixation) than communities with lower beta diversity, and functioning might be more consistent through time. Furthermore, ecosystem multifunctionality (the simultaneous performance of many ecosystem functions) might depend on beta diversity, because different species perform different functions and their spatial separation might enhance their ability to function. 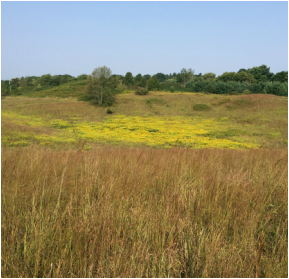 We are testing the relationships among beta diversity, ecosystem function, stability, and multifunctionality using data from herbaceous ecosystems across the US and from restored prairies in Michigan. For more info on our collaborative cross-site synthesis project, check out the CORRE site.